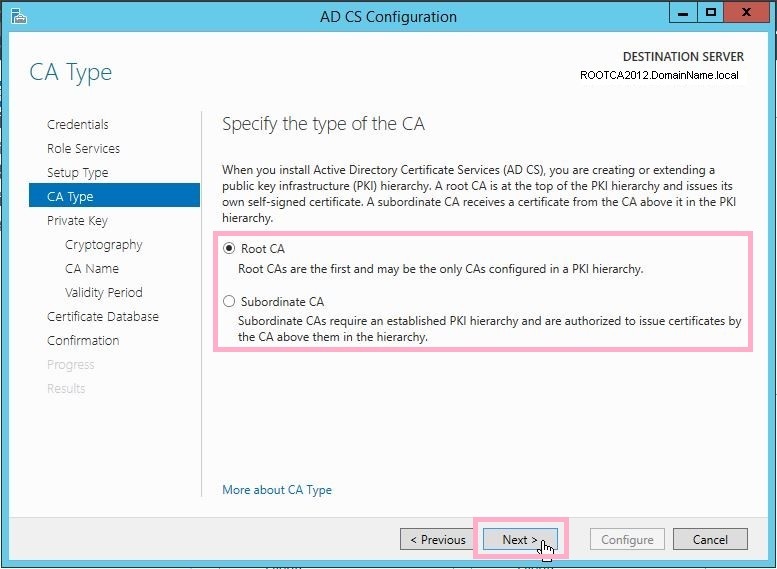 Installing an internal CA server is not too hard and pretty much straight forward I believe. 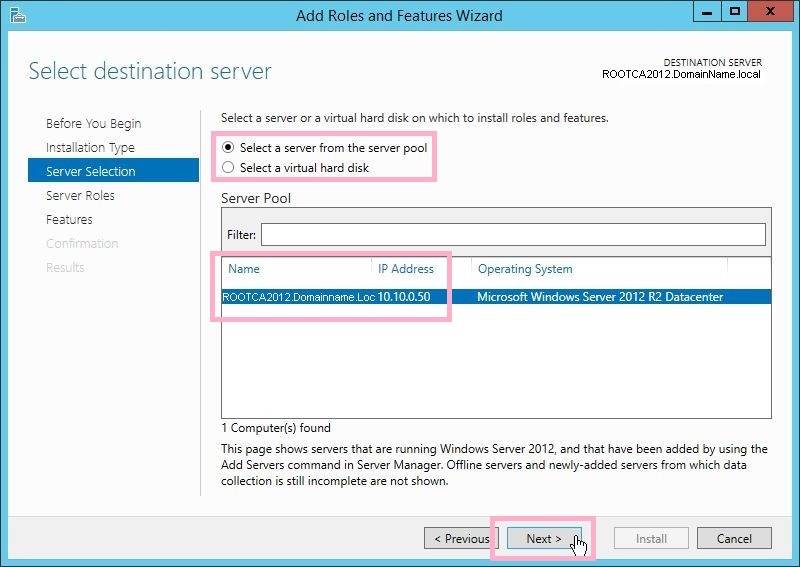 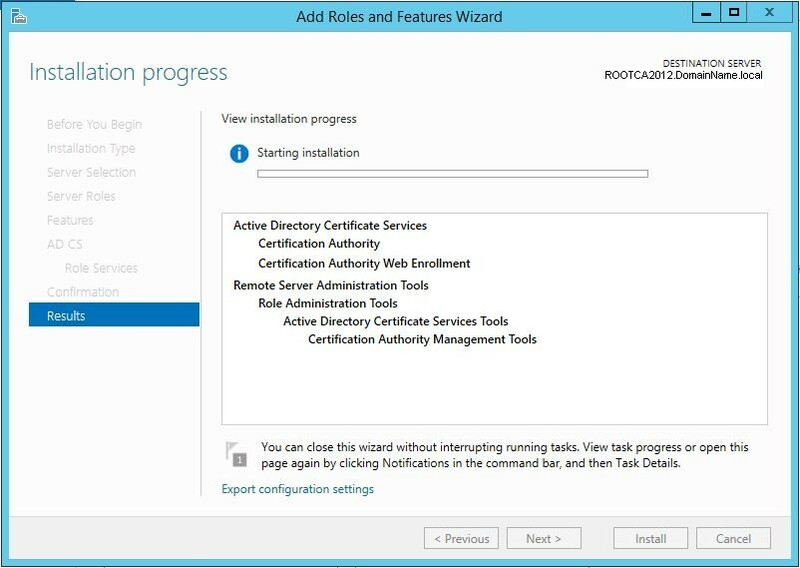 Installing an Internal CA on Server 2012. 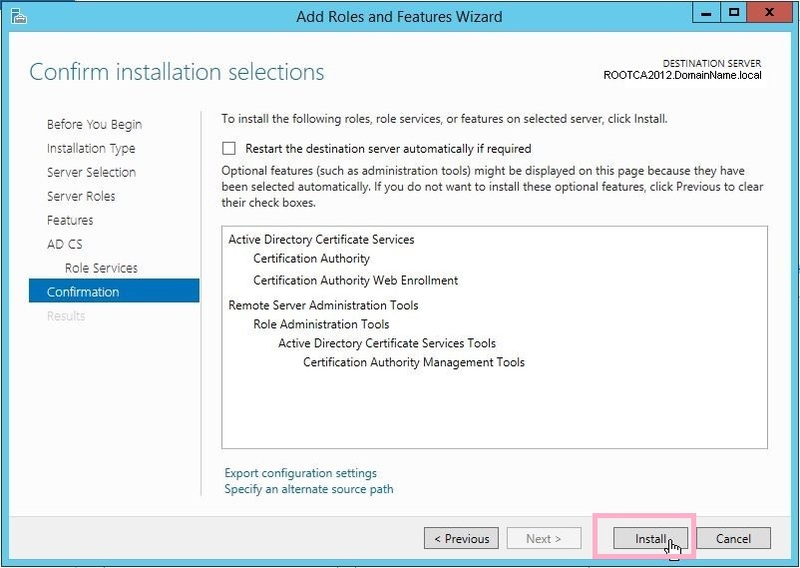 The Add Roles and Features Wizard appeared. 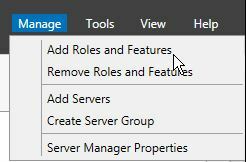 Click at Add Features button. 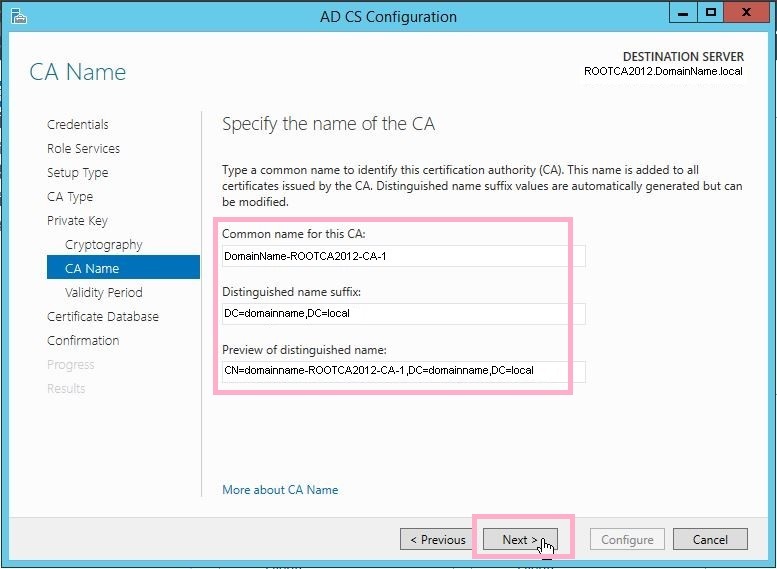 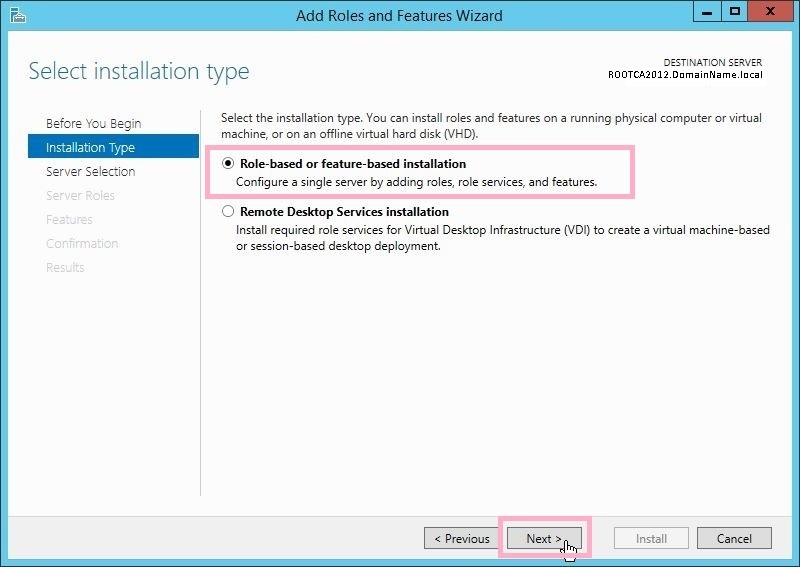 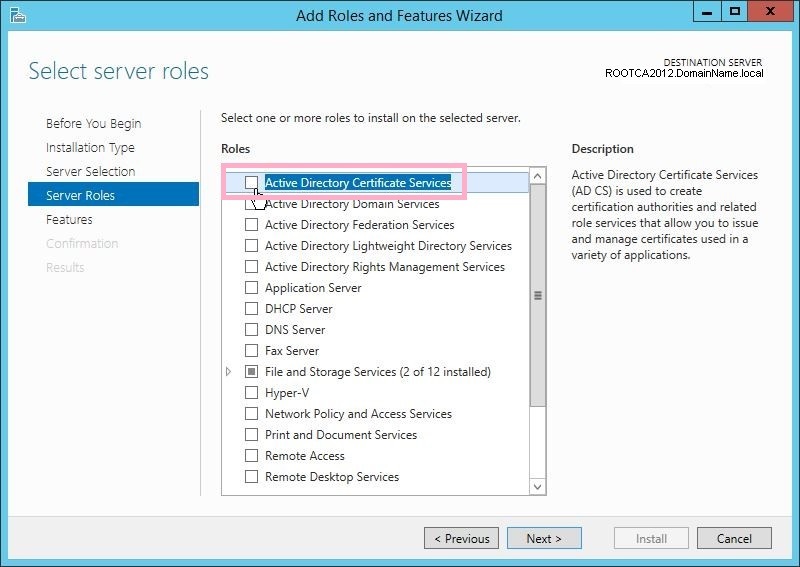 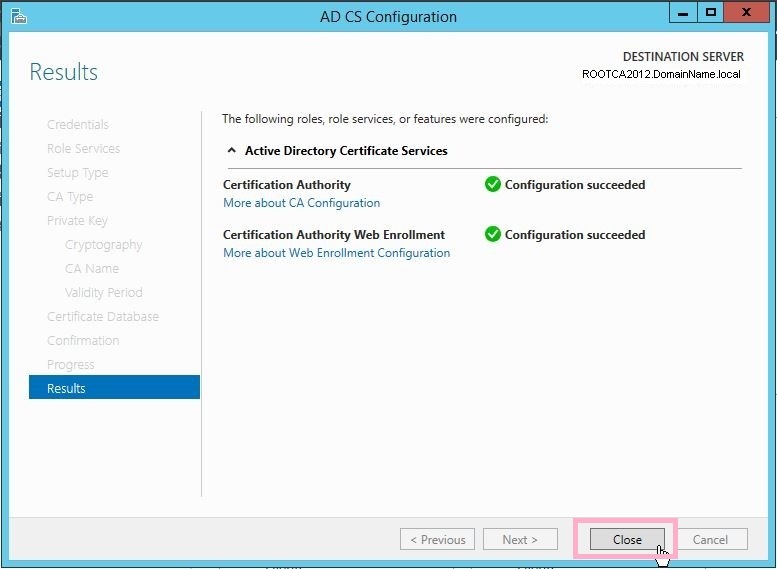 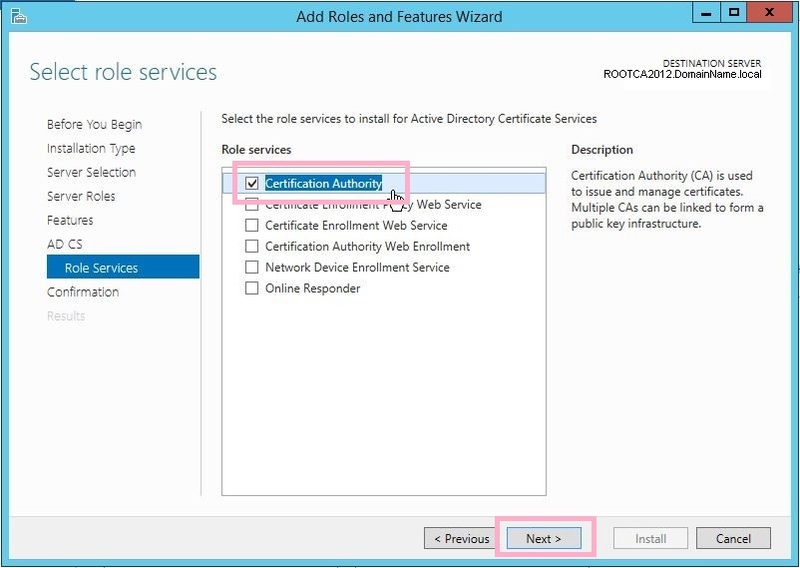 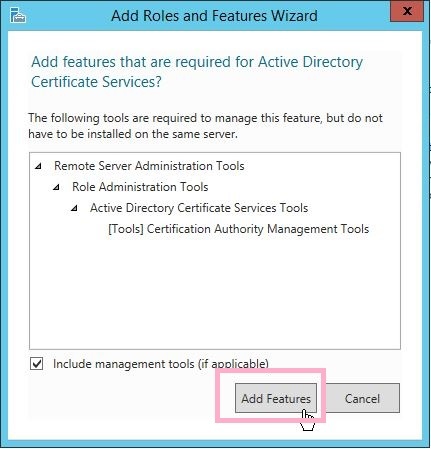 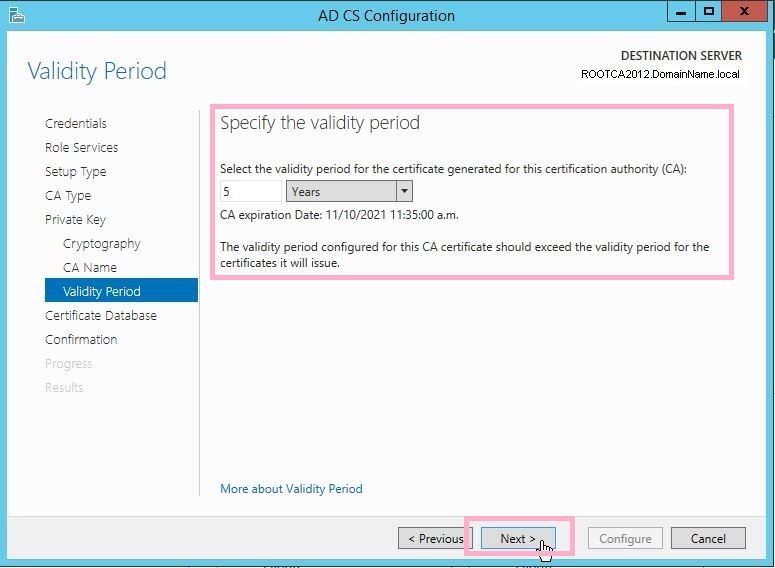 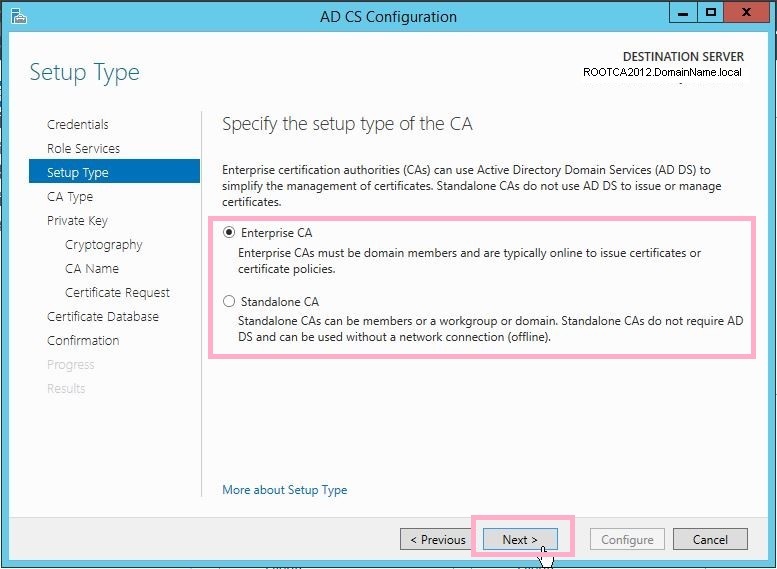 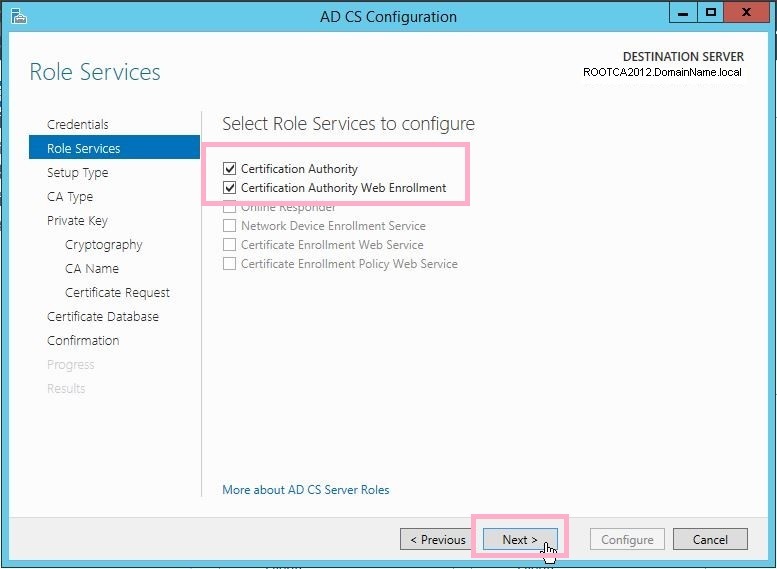 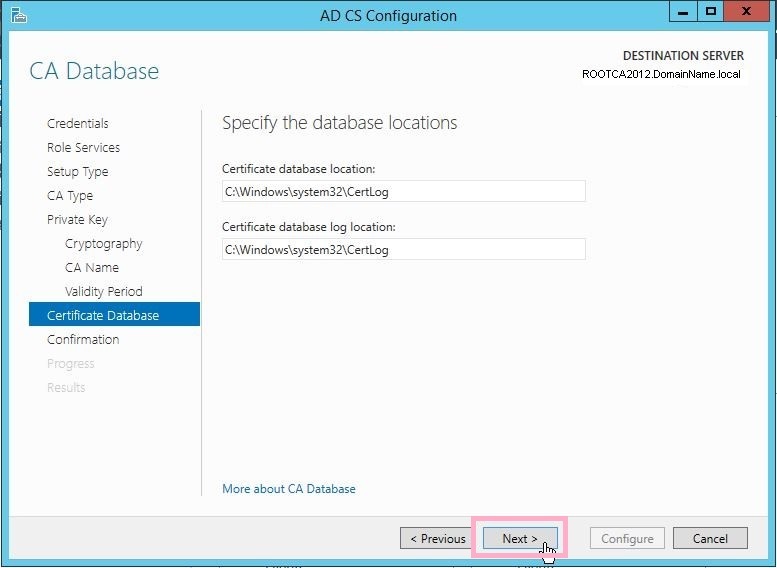 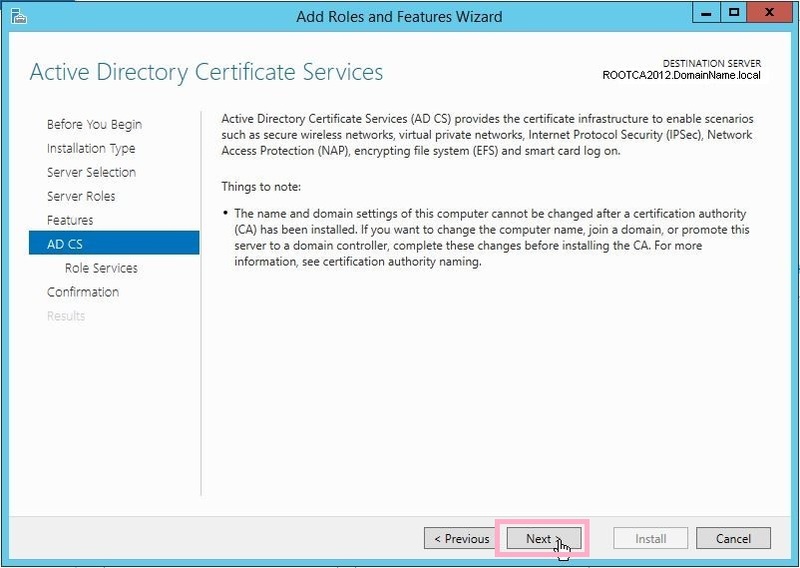 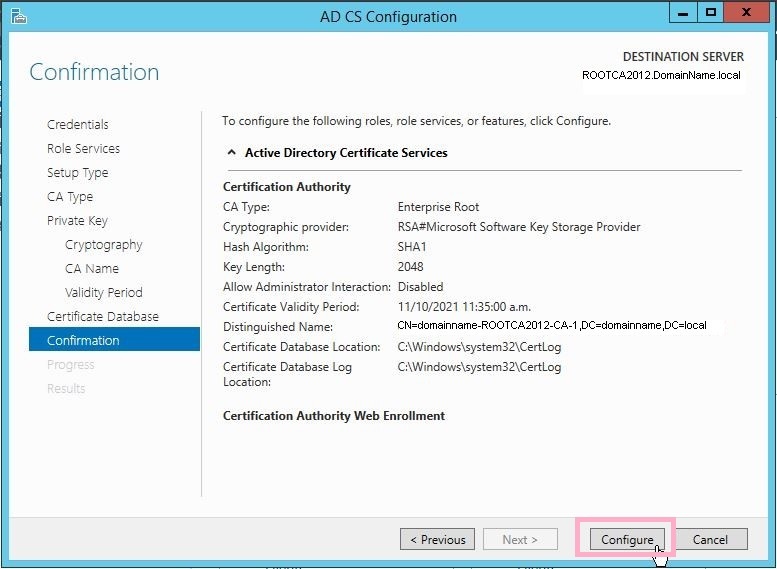 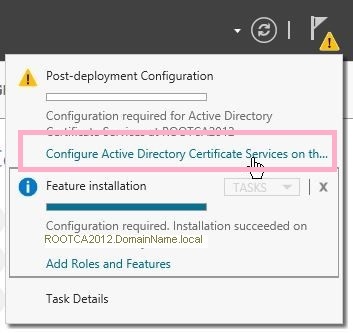 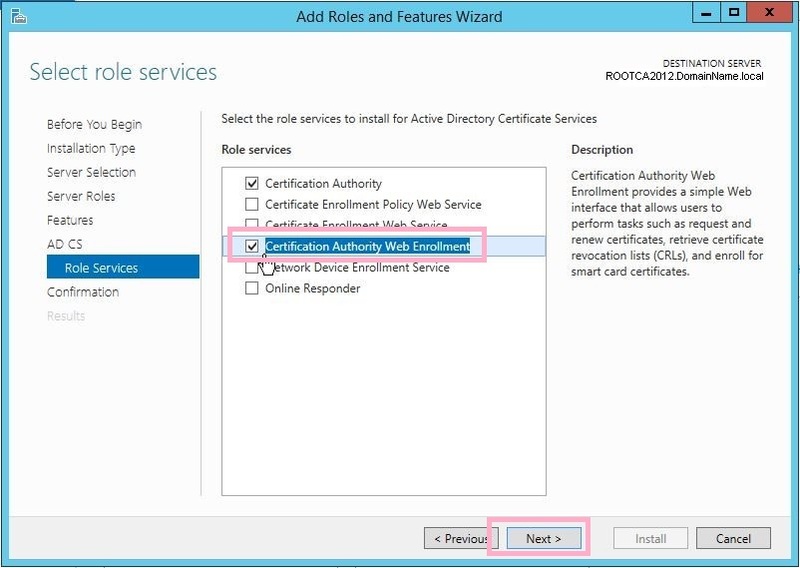 At Server Manager, hover to Notification, and click at at Post-Deployment Configuration to configure Certificate Services role. 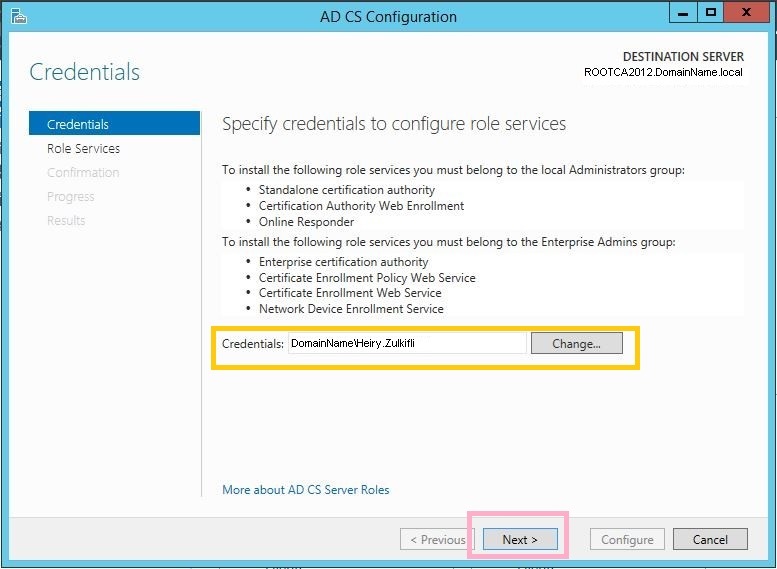 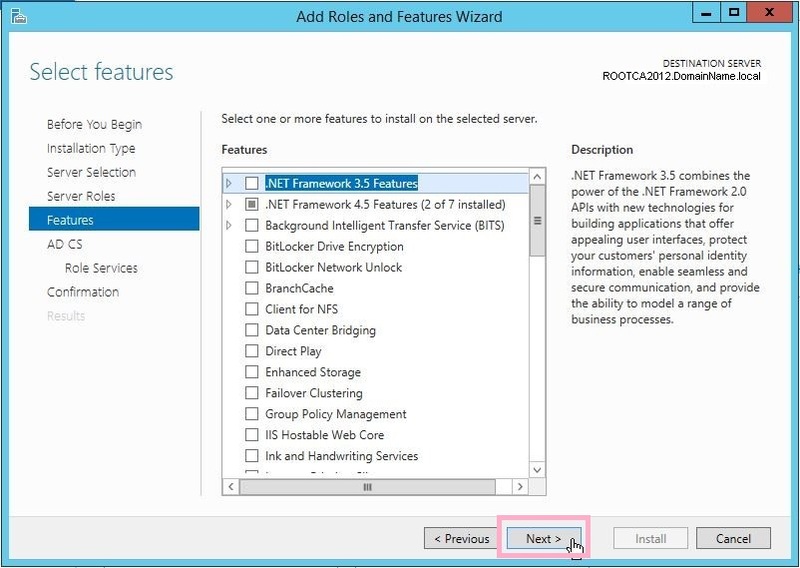 Select which role services need to be configured, in this case the first two. 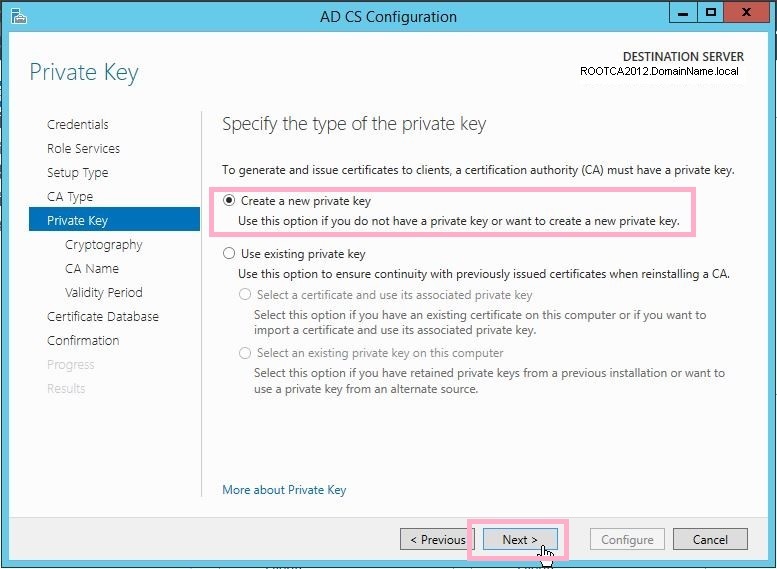 Specify whether to create a new private key or to use existing private key. 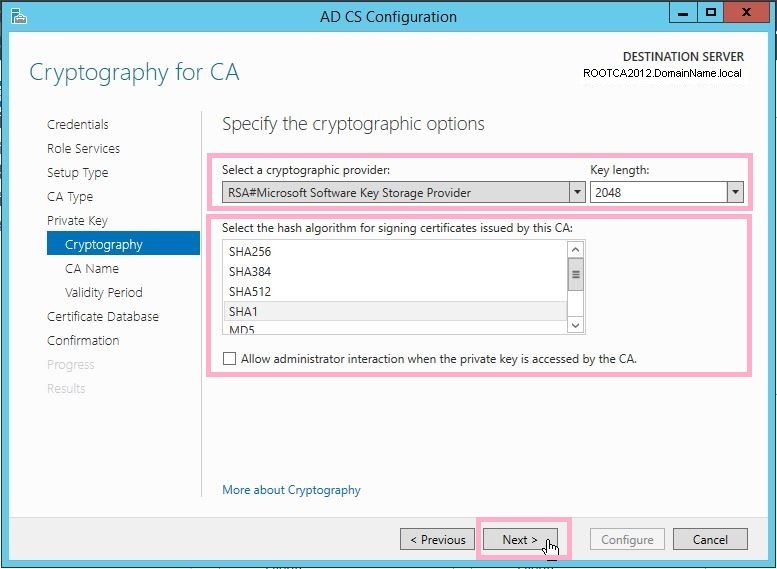 You may refer to below link for better understanding on Private Key. 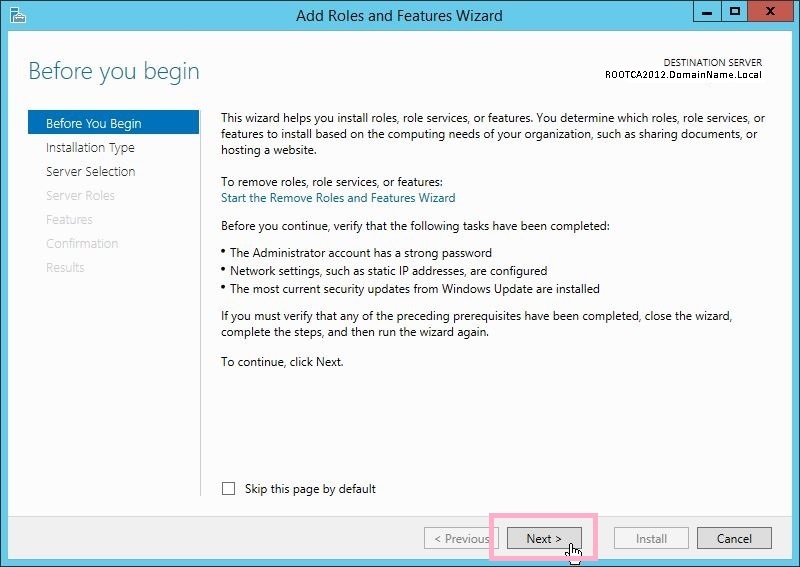 Click Next > once done. 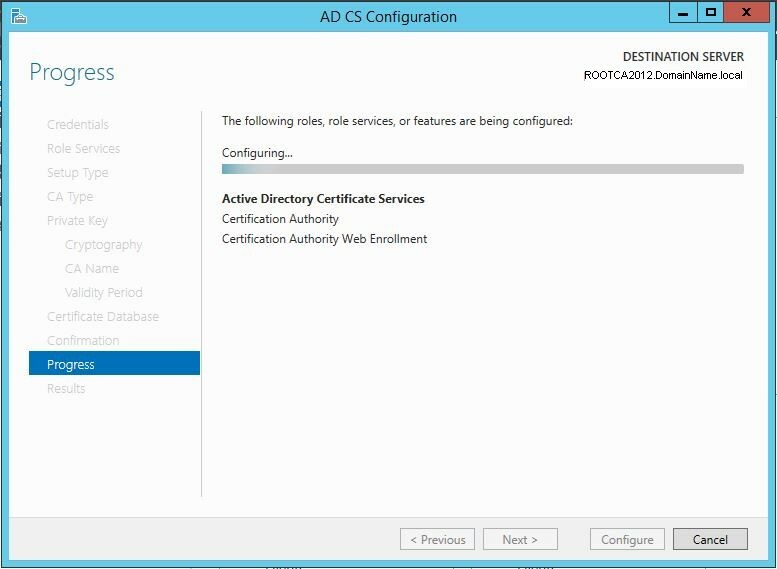 Review the information populated, then click Configure.